How Much Will It Cost To Sealcoat My Parking Lot? Sealcoating your asphalt is an essential part of your parking lot maintenance. 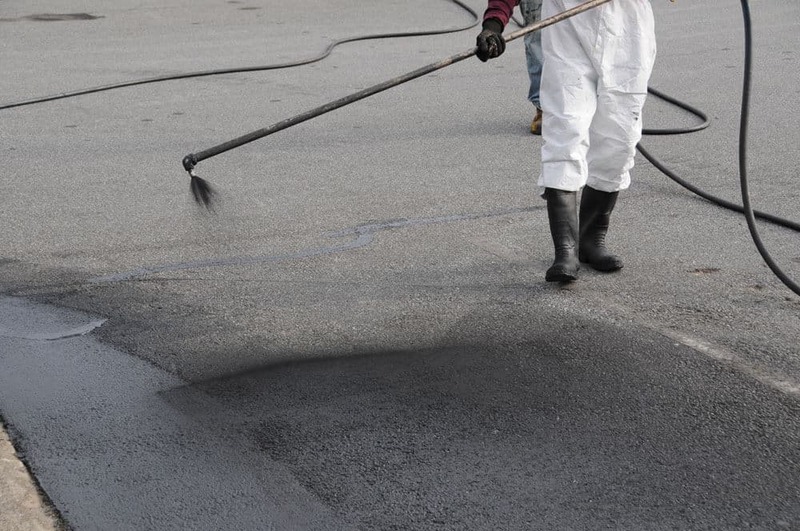 Not only does it help to protect your parking lot from sun damage, gas and oil spills and more, but it can also provide you with a fresh, almost-new look for much less than it would cost to have your parking lot completely repaved. Although you might realize that this service is an essential, however, you could be wondering how much it will cost. Unfortunately, it is difficult to get an accurate estimate of the cost of sealcoating without speaking to a professional about it. A lot of different factors go into determining the cost; obviously, it will cost more to have a larger parking area sealcoated than to have a smaller area done, and the current condition of your asphalt also makes a difference. If your parking lot will need significant repairs prior to sealcoating, your price will be a bit higher than someone whose parking lot is already in good condition. 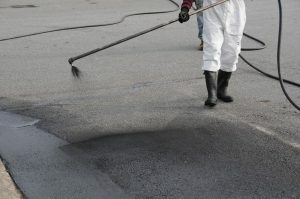 Supply costs also vary, and parking lots that are subject to heavy usage require sealcoating of a higher grade than those that aren’t used as often. As you can see, it is difficult to get an idea of a price without adding all of these factors into the equation. Regardless of how much the job will cost, however, you are sure to find it to be worthwhile. By having your parking lot sealcoated, you can cut down on costly repairs and enjoy a fresh, beautiful parking lot that is sure to impress your clientele. You can also protect your parking lot and keep it looking nice and almost-new a lot longer by having this essential service done. Learn more about our Asphalt Sealcoating service. To find out more about how much your asphalt sealcoating project will cost, fill out a free quote form or give us a call at 1-800-559-SEAL. Here are Asphalt Pavement Solutions, we strive to provide the best asphalt services for the most reasonable prices. We care about your asphalt, so give us a call to find out more about taking care of it the right way. The premier asphalt sealcoating contractor is Philadelphia, throughout Pennsylvania, New Jersey and Delaware!